After Marie surprisingly released a new jazz single on her birthday, we felt the urge to talk to one of the driving forces behind the project: Mikael Bolyos. Luckily enough he found the time to answer some of our questions and we want to thank him very much for doing so. We know he is a busy man. RXB: Mikael, thanks for stopping a second to take the time to talk to us. It was probably quite busy lately with Marie’s birthday and the release of the new song – and both topics that made us think we desperately need to talk to you. So, first of all: Is your house still a normal house or did it turn into a huge garden on Marie’s birthday? 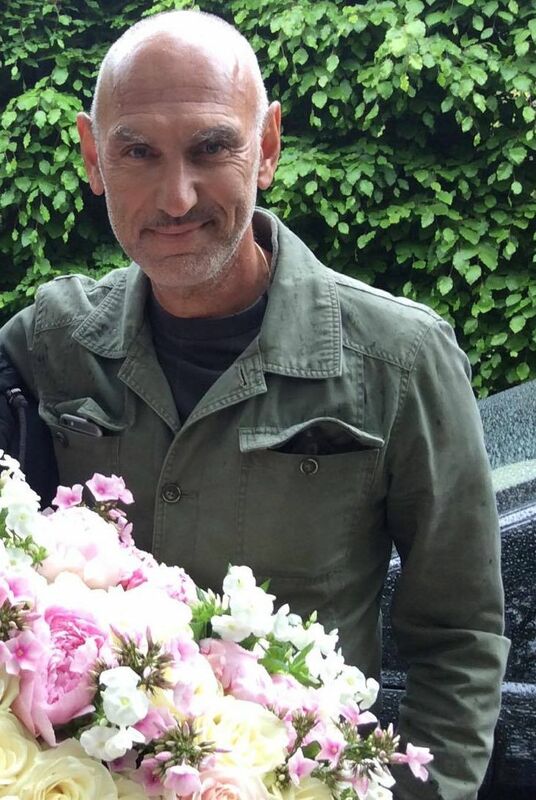 Just kidding, of course, but we are well aware that many fans still send their cards and flowers and presents and we are curious: Did it become more now that Marie has retired from the touring life? Mikael Bolyos: No, our home still always look like a flowershop on every Maries birthday. RXB: And talking about Marie’s birthday: We were very surprised to find out that she or you decided to release a new single (Alone Again) on her birthday. Did you choose this date on purpose or was it a coincidence? This definitely feels like you made yourself a present and you gave a present to us as well. MB: Yes, the whole idea was to try to give a little something back to all her fans. Call it a little “thank you” for all the support over the years. 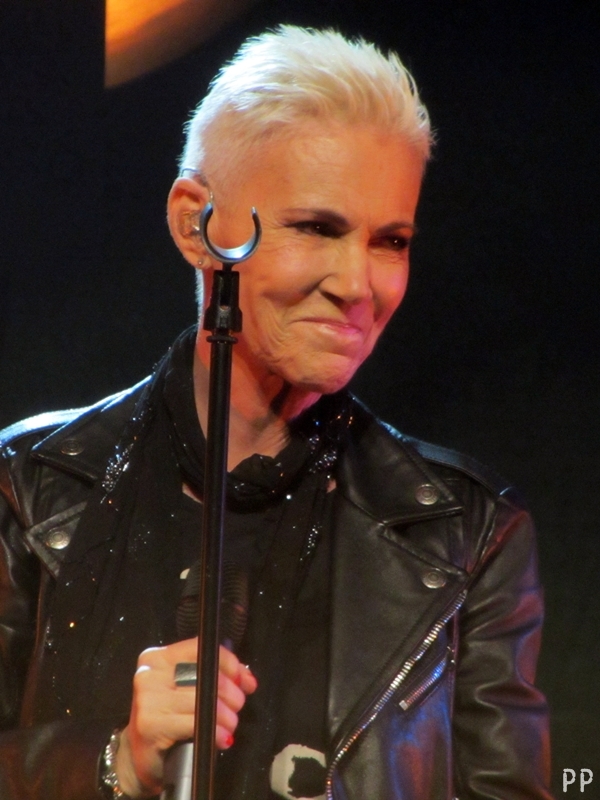 RXB: Do you still read the Roxette internet and Facebook fan pages such as Roxetteblog and The Daily Roxette – so are you aware that the fan world went totally crazy after the song was announced on several streaming services such as iTunes, Amazon and Google play? MB: Yes, we noticed some comments! RXB: The response so far has been amazing, lots of positive comments everywhere, how do you feel about this? MB: We, Marie, Magnus, Max & me are so happy about this. Max told me the other day that people are telling him daily on the bus, in the streets, everywhere how much they like the song and production. RXB: What can you actually tell us about the single? When did you have the idea, when did you record it? MB: I had an idea back in 2002 to make an instrumental album with my favorite sax and guitar players in Sweden. Magnus Lindgren and Max Schultz. We started the recordings at Vinden studio in January 2003. Soon we asked Marie to add some vocals to one of the songs (on a Sunday). We also made the first recording of Max´s song “Alone again” back then. At that time it was an instrumental song. A couple of years later I wrote the lyrics and in 2009 we recorded the song with Marie. At that time we even had plans of doing some light touring with this trio. But as you know history wanted something else. RXB: Is there a reason you chose English over Swedish? MB: No, not really ! Maybe it´s because Magnus’ instrumental song’s name was “On a Sunday” so Marie and me wrote english lyrics to it. RXB: The song came together with a (surprise) video – what was the idea behind this? MB: We thought it would be easier to present the song if it contained a video. It’s much more funny to click a link and be able to listen and watch. RXB: You worked with two musicians with who you already worked with before, why did you choose to work with them? How did this collaboration come up? MB: Marie and me heard a duo in a hotelbar in London 2002. Two guys playing sax and guitar. It felt as an odd combination, but still so interesting. It felt natural to ask Max & Magnus if they were interested of trying something like this, but playing only original songs. RXB: Does the single mean that a new album is coming out soon? MB: I wish I could say yes, but this was meant to be a one-time event, but after the massive positive reaction….. we’ll see…..Hopefully we can release something more in the same category in the future…at least I hope. RXB: Both musicians are known for their jazz music, if there will be a new album, will it be THE jazz album Marie always wanted to do? MB: Yes, I think it’s a good guess that in that case, jazz & blues will dominate, but I don’t know about a whole album. RXB: Have you listened to Per’s solo album? What do you think? MB: Yes we have and we think it´s great. We like it a lot ! MB: HA! Not as far as we know. 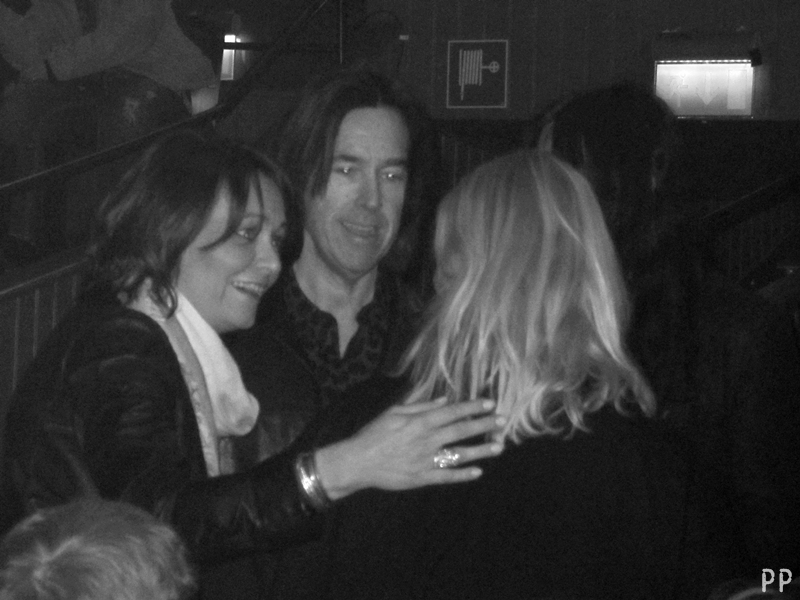 We met Christoffer Lundquist in Göteborg before Marie’s concert in this city. The last time we met Christoffer was June 2011 in Prague and a lot has happened since then, so we thought it was about time again to sit down and chat about all the Rox-related projects he has been involved in as well as his solo and Brainpool projects. Judith: Thank you for your time! It’s been a long time, we met in 2011 last… You’ve been very busy since then! Christoffer: Sure, a pleasure as always. And yes, lots of things going on. Let’s start with Marie’s album. How did you get involved with it? 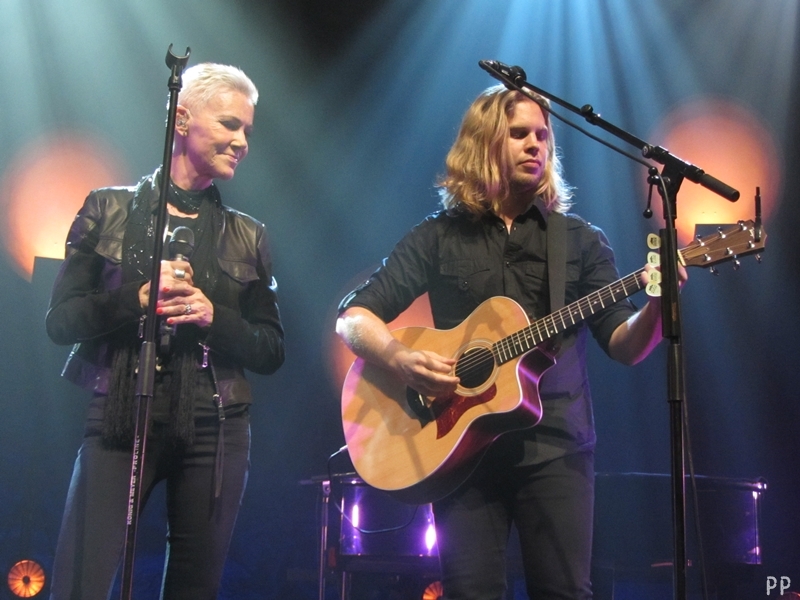 Micke and Marie started working on some of the songs a long time ago, some of them even 10 years ago. 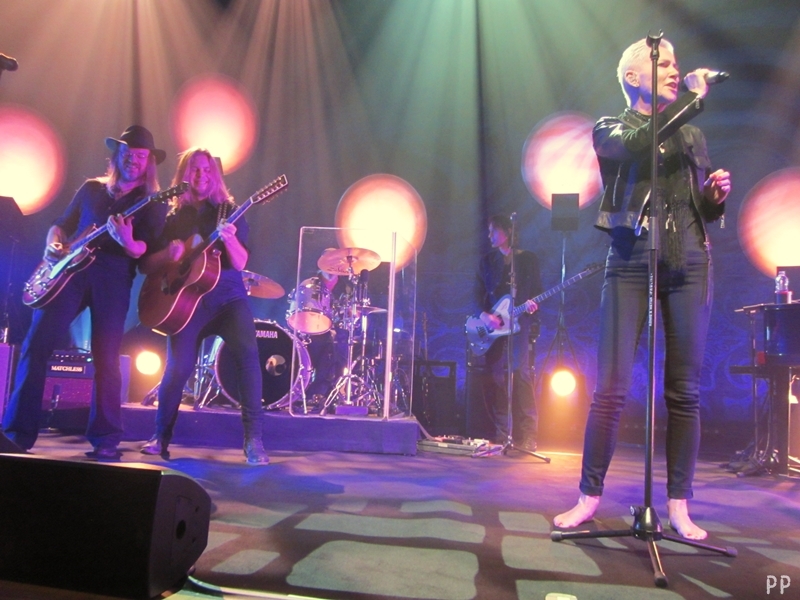 They asked during Roxette’s tour if I wanted to be part of recording the vocals because we did that with Roxette and we had lots of fun and it worked out very well. So that’s how it started, and then I got more and more involved. We recorded about half of the album in my studio, for the other half we used mainly what Marie and Micke had recorded themselves and built on those. So how did you arrange the recordings? Did all the musicians come to your studio in Skåne? Micke and Marie spent about 10 days in my studio the first time. Then they came to the studio a second time for five days. We also had Jens for a few days recording drums for some tracks. And then the rest we worked out together the three of us. 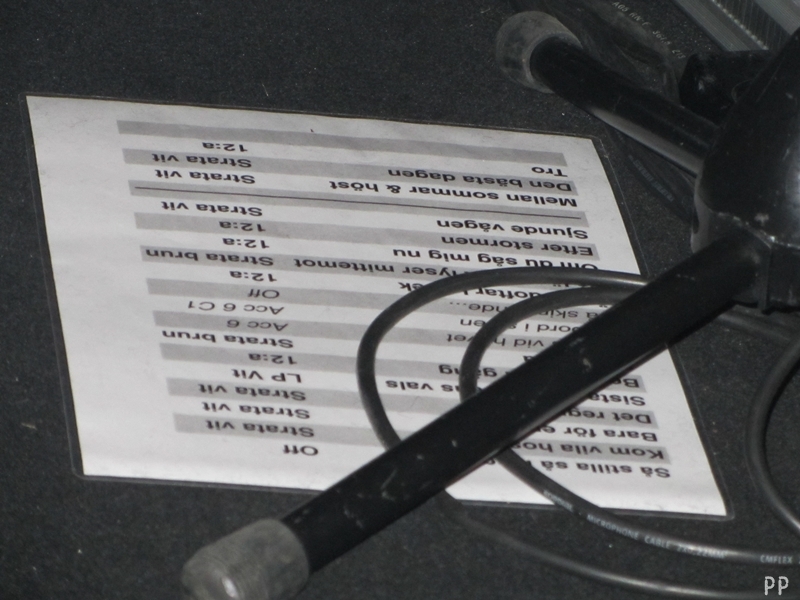 In an interview Micke told us that there are demos for most of the songs, but that we wouldn’t want to hear those, haha! Did they change a lot from demos to final? Haha! Oscar is singing in some of them, actually. And I can’t really remember how much we changed. We built on some of the demos so the original kind of ended up on the album, but other songs were done from scratch in the studio, I don’t remember the demos to those. In that case we just heard the demo maybe once or twice and then we did the rest more or less on the fly. In some cases there were ideas on the demos that we wanted to keep, on other cases we started from scratch. Marie and Micke worked with other song writers, were they involved in the recordings too? Not really. They were not involved in the recording but more in the background and working with Marie on the lyrics. That was the most difficult part because lyrics are a huge part of Marie’s career and now that she doesn’t write many songs herself, she really needs lyrics that she can feel as if she had written them. That’s really tricky; it’s very personal, especially for Marie because she’s such an emotional singer. She cannot just sing something; she always sings texts that really mean something. So there were lots of attempts that didn’t work, we had new lyrics coming in all the time and every now and then we were like “Yes! This works!” It’s a tricky process because all of the song writers are very great writers; it’s hard to turn them down, someone writes a great text and you have to say “no sorry”, not because it’s not good enough, but because it doesn’t feel right for Marie, and you don’t want to hurt people… But Micke and Marie handled all that, it was their friends and colleagues, I was just standing by. Did you use many new or interesting instruments this time, besides the sitar? That was Micke’s or Marie’s idea, I cannot remember. They had that line on the demo “dididididi” (imitating the sound of the sitar at the beginning of the song) done with a cimbalo or something like that, but they wanted to find something more unique. It’s funny because that kind of guitar is used in a Swedish hit called “Jag vill ha en egen måne” by Ted Gärdestad. It was a huge 70ies hit and the artist is great, so it is also a bit of a hint to that song too. We used many of the other instruments as always, we just tried them out and used what we felt worked out. Micke played the church organ as well on “Jag undrar vad du tänker på”. This album is very different to the other Marie albums, you can hear a lot of country and other styles that Marie hadn’t touched before. Did Marie and Micke already come with this in mind? How much of it is your influence? Yes, that was not my influence, actually. The second track, “Det bästa som nånsin kan hända”, was almost finished when I heard it, for example. I hardly added anything to that one, one or two guitars maybe. That has the most country flavor I think. I just realised this when I listened to Marie’s previous albums to prepare for this tour that there are such different styles in the other albums, almost every album has its own style. And that is very much Marie, whatever the feeling at the moment is. So how do you like the album and the current style? I think it’s great. Marie loves guitars… and you can hear that on the album. This album is one of her best. I had always wished she would do something like this. You could see that on Äntligen tour and on the current tour when she looks at you or Jokke and completely enjoys the solos! Haha! It’s great to play that too. 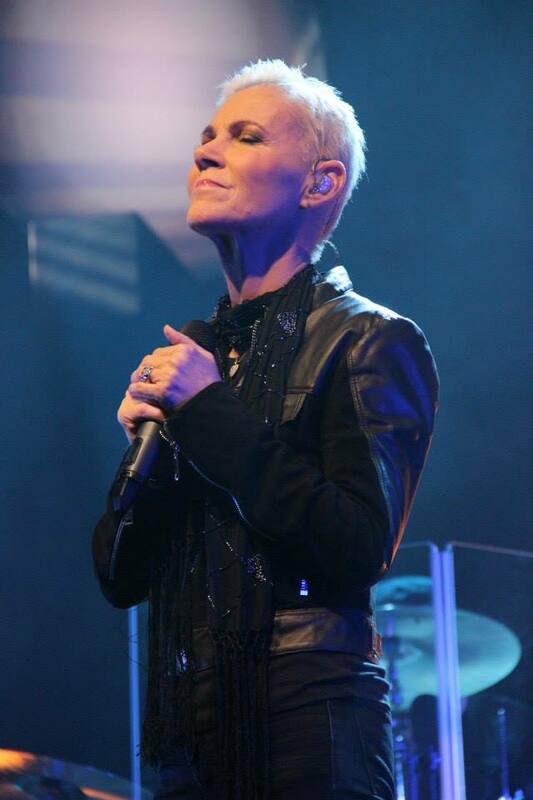 So let’s move to another of the projects, mixing of Roxette live album/DVD/Blu-ray. Yes, and it finally came out! Believe it or not, haha! 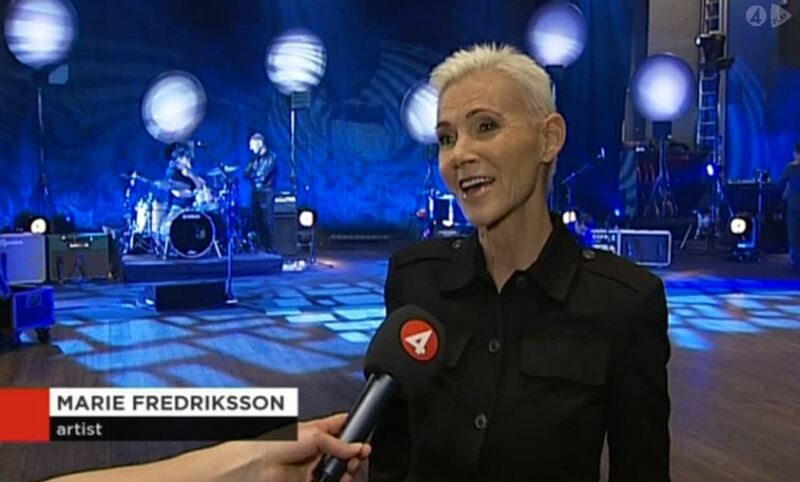 SVT broadcasted the show ”Tack för musiken”, for which the recordings with Marie Fredriksson were on 27th August. Click HERE to watch it! It begins with Niklas Strömstedt and the band performing ”Tro” live. Niklas welcomes Ms Effe only after this. They are sitting and talking about Marie’s career (solo, earlier bands, Roxette, Per Gessle), illness (she’s healthy now and grateful to be there) and her family. Marie’s husband, Micke Bolyos was sitting in the band, playing the keyboards during the show. You can see how much Marie enjoyed being there and how fine she is. She was very relaxed, smiling and laughing all the time. Tears appeared in her eyes when Niklas was talking about her album ”Den ständiga resan” that there are 13 songs about darkness, but the last song, ”Till sist” is different. He read up the first lines of the song and asked who these lines are about. Marie pointed at Micke and told it’s about him. They looked at each other with so much love during the whole show. Marie started singing when she was a little child. She started the day with singing at 7 am, when everyone else would have loved to sleep. Later, at the age of 17 she wanted to be an actress. It was her dream. She was talking about how she loves writing songs, but after her illness it’s not that easy anymore. She talked about Lasse Lindbom, how much he means to her. They had a fantastic time and were writing a lot of songs together. In the audience there were many familiar faces and at one point Niklas started talking about Argentina and the fans. Marie realized there were fans in the audience from Argentina, too and said that a lot of Roxette fans are here and they are fantastic. The fans are always by their side, following them and they are even here at this show. Marie told the fans know all the lyrics regardless of where they are coming from or which language the songs are in. 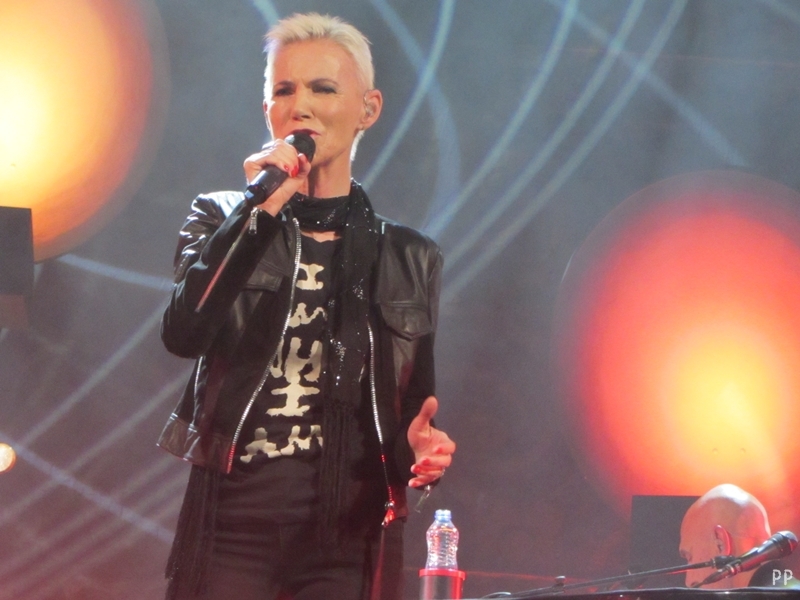 Niklas was joking about Marie’s name, Gun-Marie and pronounced it the English way: Gun-Marie from Roxette. Everyone was laughing. In a 20 minutes chat on Aftonbladet Marie Fredriksson answered some questions today. Most of the fans asked about her tour which starts in February. Rosa from Barcelona wanted to know if we can expect any surprises on the tour, but Marie didn’t reveal anything and said: “If I told you know, it wouldn’t be a surprise.”Luiz Gimenez asked how Marie feels about the fact that a lot of fans will come from Brazil to Sweden to see her shows. Marie replied she is also looking forward to the tour and seeing the fans again. 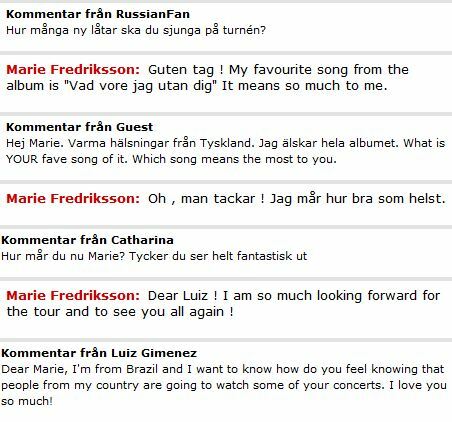 A Russian fan wanted to know how many new songs Marie will play at her shows and Marie let us know that she plans to play at least two new songs. RXB admin Judith asked if they are already rehearsing and have prepared a setlist for the tour, but so far they are only thinking of several songs and haven’t started rehearsing yet. And the most touching answer comes with Miedy’s question “You always look so happy and in a good mood when you meet your fans. What’s your secret?” – I know that my success is because of you. 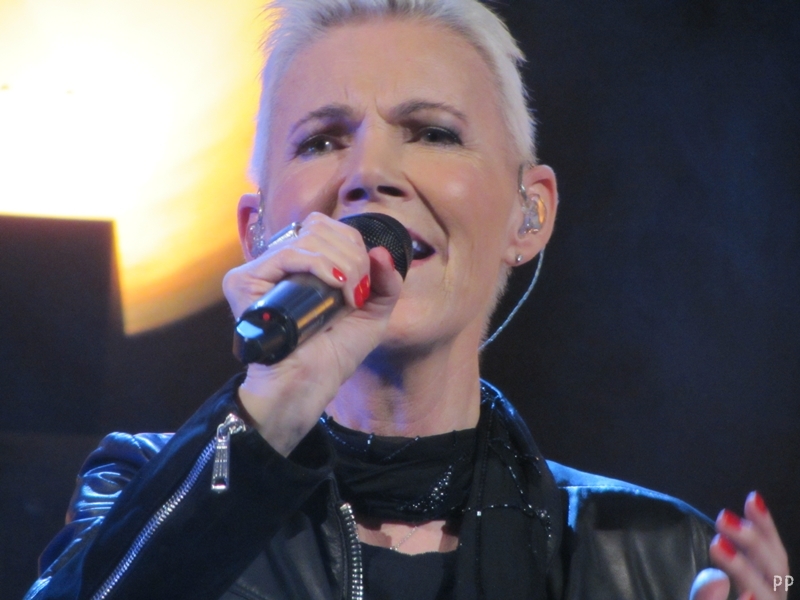 Marie Fredriksson’s album “Nu!” is out since Wednesday. Reason enough to ask her husband, Mikael Bolyos, who wrote most of the songs, to ask some questions about the process of recording and some well-known names who came with “Nu!”. Thankfully he made a slot in his tight agenda to answer our questions. We appreciate that! Mikael, we saw that you collaborated with 4 other songwriters. How did you choose them? Did they offer their texts or did you kind of order them? We remember Ulf Schagerström, who wrote Mot ökända hav and Aldrig som främlingar. How come you worked with him and the others and how was working with them? Mikael Bolyos: I quite recently started to express myself in lyrics. It’s not that easy for me, so it takes mostly a while to finish a song. I always liked the simplicity and poetry in Kenneth’s lyrics, so when I had the song ”Bara 3 ord”, I just gave him a call and asked if he was interested in helping me out. Luckily he was . He is such a talent!!! Johan Kinde was the singer in a band I used to play keyboards in (Lustans Lakejer). We always got along wery well so it was easy asking him for a text. To me ”Stjärna som brinner” is one of the best texts on the album. 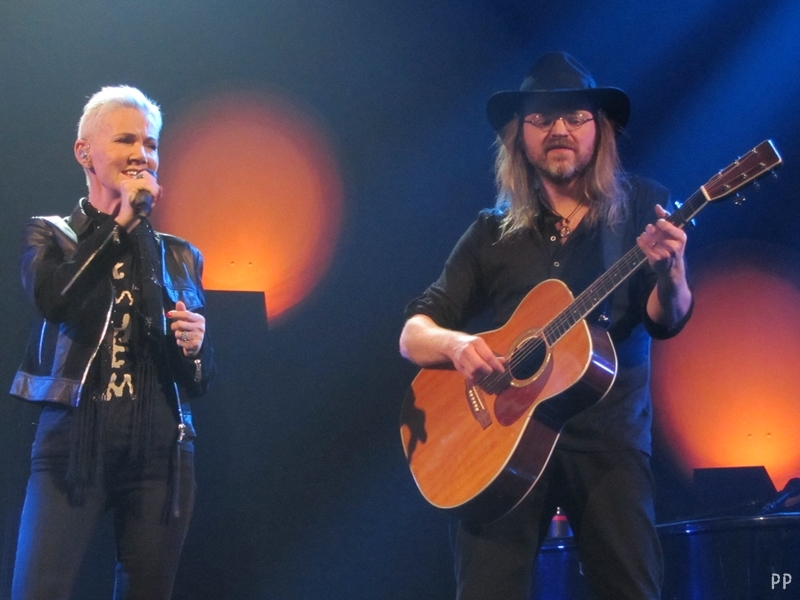 Uno and I met during the Roxette concert in Göteborg 2011, and we talked about doing something together and Ulf has, as you know, been working with Marie since day 1. He contributed on several songs that we recorded, but only 3 of them are on the album. Good choices. The lyrics on “Nu!” are really impressive. And how and why did you decide to produce the album with Christoffer Lundquist and how can we imagine the producing process? Have you been to Skåne or did he come to Stockholm? 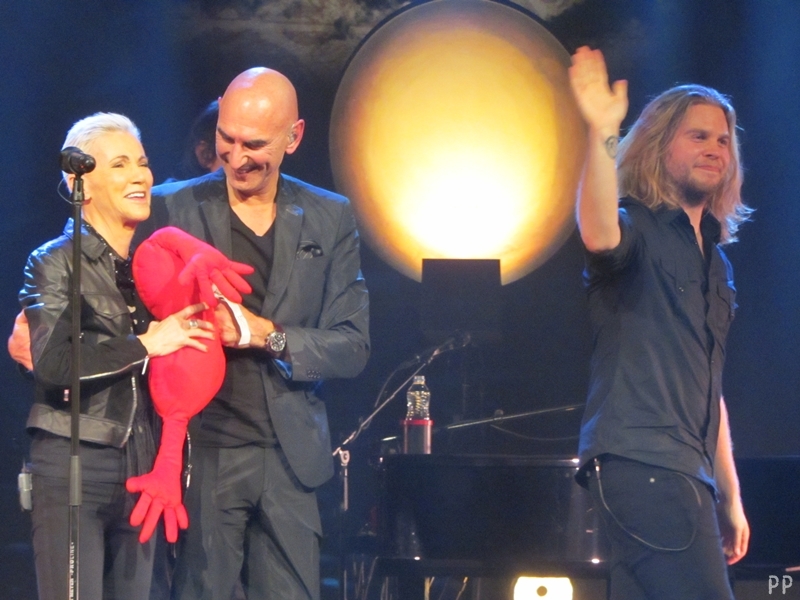 Mikael: As you know, Christoffer has during the years made an exceptional good job in recording Marie with Roxette. They are such a great team in the studio, speaking the same language (Skånska). Although Marie is such a great singer, I wanted to improve the vocal part from what we’ve done before. Chris became more & more involved in the process so we decided to produce the album together recording in AGM in Skåne and Atlantis in Stockholm. We are both (Marie and me) so happy working with Chris. When I first asked you for the interview you wrote that you are satisfied yourself with the album. Now that it’s released, what are you most satisfied with? Which song is your favourite song and why? And which is Marie’s? Mikael: I must say that I’m very satisfied with how the leadvocal turned out. Thanx to Chris! Favourite song ? Hmm … maybe ”Kom vila hos mig”. I think I managed to say something with the lyrics and I like the beat. Marie says her favourite song is ”Vad vore jag utan dig”. To get more insight (since we are very curious, of course). When Marie writes a song, does she do it on her own and presents it to you when it’s done or are you evolving it together? Speaking of Sista sommarens vals! How did you develop this song? Mikael: Marie writes on her own and presents it to me when it’s more or less finished. We made a demo on the song and then we re-recorded it in AGM with Chris. How did you choose t he first single, “Kom vila hos mig”? 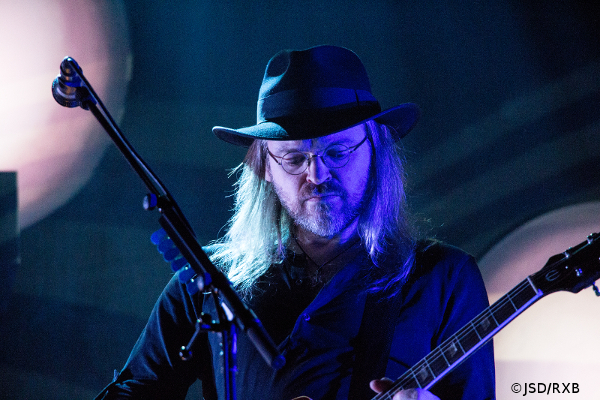 Mikael: Marie wanted an uptempo song and “Kom vila hos mig” felt like an excellent choice. From the lyrics and looking at you 2 we know how you feel towards each other, but how would you describe working together with Marie? Mikael: Working with Marie is a blessing. She is so patient and a great source of inspiration. She is amazing in her concentration and has extraterrestrial singing skills. Do you have demos to all songs? Are you considering to release them all? Mikael: Mostly, we record a serious demo that we can develop into the final version. Like put real bass & drums into it instead of programmed. We never thought of releasing the demos. Are there demos with your voice to the songs you wrote for “Nu!? Mikael: Yes! Some of the songs are with my vocals on it. I can assure you that those demos won’t be released as long as I’m alive. Three words you think describe the album the best? After I read most of the reviews of the album in the internet I really didn’t know what to think of the Swedish music journalists. Some wrote it’s one of the best albums ever, some wrote it’s weak and nothing special and most important: all of them picked different weak or strong songs which shows that it’s really only a thing of taste and nothing else. Do you care about those reviews? Do you read them at all or is indeed the most important thing that the artist is satisfied with his work? Final question. Is there any question you want to be asked about the album that we didn’t ask? Feel free to ask and answer yourself. Maybe we missed the most important aspect! Mikael: Hmm. I really don’t know what that could be. Maybe that the first two songs we recorded were already mixed in Jan 2010. We thought the album would be released in 2010/2011, but as you know something else came between.